Wondering what to wear on Valentine’s day? This capsule wardrobe with winter styles also includes Cute Valentine’s Day Outfits. I was excited to partner with JCPenney again this month. I put together another capsule wardrobe that includes some easy ideas for what to wear on Valentine’s Day. You don’t have to go out and by specific valentine clothes but you can pull out a Valentine’s day look from clothing pieces that will work all winter long and even into spring. Be sure to check out all of their Valentine’s Day gift ideas here. These outfits help show how with a few basic pieces you can layer and have a whole new look including Valentine’s Day outfits for women! You can use any jewelry you already own to also add a different look these outfits. Be sure to check out JCPenney for more fashion jewelry at great prices. You can add a bit of flair with some long necklaces or statement necklaces. Wondering How to Dress for Valentine’s Day? I absolutely love the Liz Claiborne Keyhole Neck Knit Blouse in Black with Hearts It is easy Valentine’s Day fashion without being too in your face Valentine’s day outfit. I think it would be a perfect idea of what to wear for Valentine’s Day dinner. I paired it with the Liz Claiborne Flexi Fit 5-Pocket Skinny Jeans, Indigo. Even though these are called skinny jeans, they seem more straight to me and have a great classic look. The wide waistband is great for tummy control. These are my new favorite jeans and the price is fantastic. I have paid way way more for other jeans that I don’t like as much. You may notice that I included several pieces from our last JCPenney capsule wardrobe including the Liz Claiborne Ashton Loafers in Black. These loafers are so comfy and I love the silver detail. They pair well with the Liz Claiborne Silver-Tone Pear 2-Pc Jewelry Set. This bling helps makes it a great Valentines Day date outfit. If you wanted to get more dressed up you could pair the same top with black pants like we did in the capsule wardrobe or add a black skirt. Both pieces are comfy and cute and you could easily add the cute heart necklace to add to your Valentine’s day look. and in this close up you can see the hearts on the shirt. For daytime and more casual valentine’s day activities, I love both the Liz Claiborne V-Neck Pullover Sweater in Cabaret Red and the Liz Claiborne Crew Neck Long Sleeve Striped Sweater in Navy Stripe. Both pieces are comfy and cute and you could easily add the cute heart necklace to add to your Valentine’s day look. Links to each piece in the JCPenney Capsule are below – Be sure to scroll down to find the ones you are interested in. Here are some more close up pictures of the outfits. The number of each piece of the outfit is included underneath each. You can return any items that don’t work to your local JCPenney store. If you are unsure on sizing, just order both sizes and return the one that doesn’t fit. 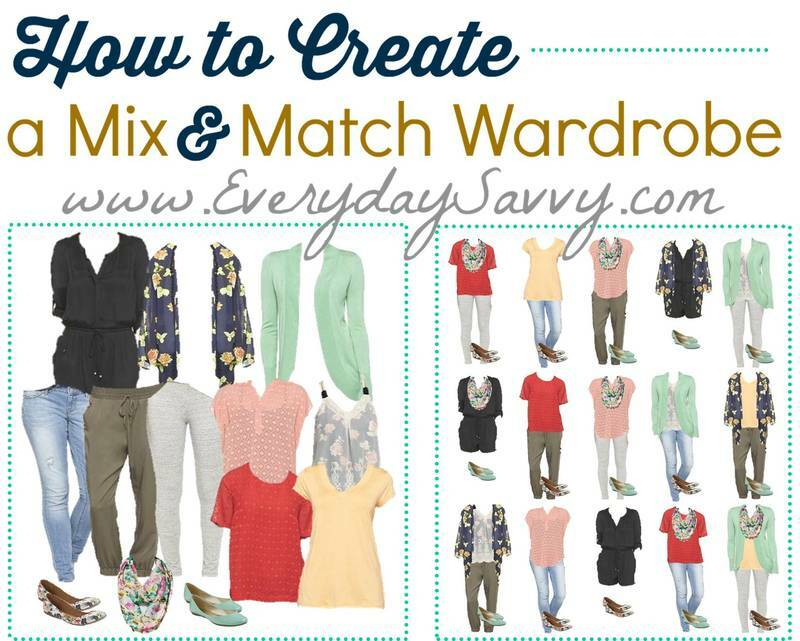 Don’t forget to sign up for our emails to get a free guide on how to make your own capsule wardrobe. See each piece in the capsule here.